July 29th Windows 10 Release date! 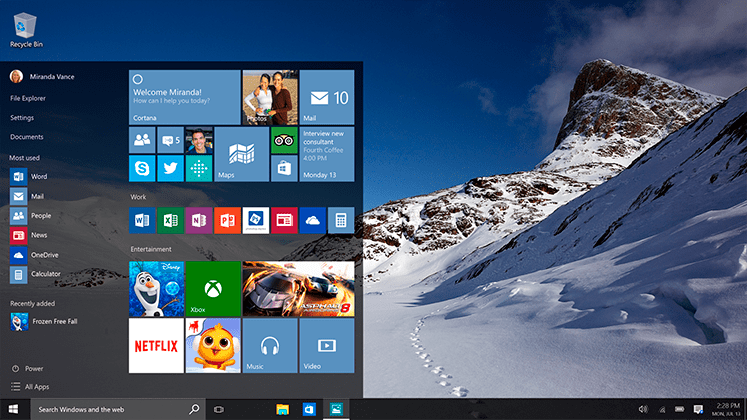 Windows 10 comes out on July 29th, but you might have to wait until later to get it. Microsoft said today that it would be rolling out Windows 10 in waves, “slowly scaling up” the rollout as it sees how things are going. The intention seems to be playing it safe and making sure that Windows 10 is getting a good response and running smoothly across the millions of different systems out there. Microsoft may even issue updates to Windows 10 between its July 29th release date and the time that some early adopters are actually able to download it. Microsoft says that it’s found the “vast majority” of systems running Windows 7 and 8 to be fully compatible with Windows 10. Manufacturers will have Windows 10 in their hands soon to begin putting it on new machines, and retailers will receive a separate build that can be used to help update eligible devices that were bought with Windows 8.1. Windows 10 Pro’s availability will also begin on July 29th. Windows 10 Enterprise and Windows 10 Education will be available a few days later, on August 1st. « 500 Free Business Cards!